Kelly J Andrews is a developer advocate for Nexmo and has been tinkering with computers for over 30 years, using BASIC for the first time at the age of 5. In his free time you can find him singing karaoke, performing magic, or cheering for the Fighting Irish. I've enjoyed programming for as long as I can remember and am currently learning all things Node.js on the IBM i. I'm in the process of building our framework with another developer, and training others. I love spending time with my family (7 of us), the outdoors, playing basketball, learning, teaching, and playing the drums. 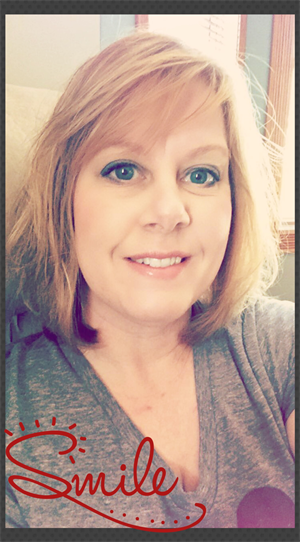 I am a senior UXer at Union Pacific in Omaha with over half a decade of experience in the UX field. I love melding psychology and technology; that's why I love the fields of Human-Computer Interaction and User Experience. Whether it be guest lecturing at universities, training co-workers, or speaking at tech conferences, I love to teach and try to keep my sessions as interesting as possible. At my sessions you will be asked thoughtful questions, come away with some useful information, and (perhaps) leave entertained. Adam is a nerd. That kept me humble and nearly friendless (sniff) through school, but he wears it as a badge of honor now. After buying a Commodore 64 with money from his paper route in the 4th grade, he’s never stopped learning about computers and how to make these stupid machines do cool things. When he's not slinging code for his 9-to-5 job, he's slinging code for himself to keep current on things, playing with electronics and IoT, 3D printing, and watching far too much TV. Beyond Blinky: Making a real IoT "Thing"
I'm a penetration tester, adjunct professor and security enthusiast. I also run the mentor program at SecKC to help others achieve their developmental and career goals within the security areas, and volunteer at a children's emergency placement foster shelter. Jeff Brown Partner, Grails and Micronaut Practice Lead , Object Computing, Inc.
Jeff Scott Brown is the co-founder of the Grails and Micronaut frameworks, leads the Grails and Micronaut practices at Object Computing (objectcomputing.com), and is also a Partner. He has been doing JVM application development for as long as the JVM has existed. He has spent most of the last decade focused specifically on work related to the Grails framework, is a key contributor to the frameworks’ core development, and recently co-founded the Micronaut framework. 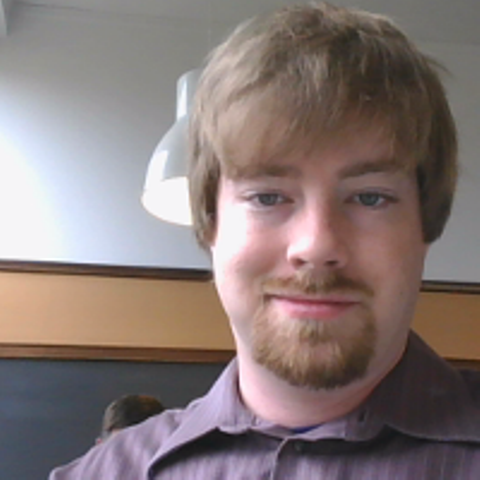 My name is Jacob Charles, a Software Engineer at gWorks. I specialize in Geospatial technologies, and empower local governments through simple software solutions. 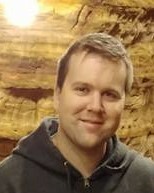 I studied Geography and Computer Science at the University of Nebraska-Lincoln, and have been a professional software developer for over five years. Alain is a Google Developer Expert in Web Technologies / Angular. 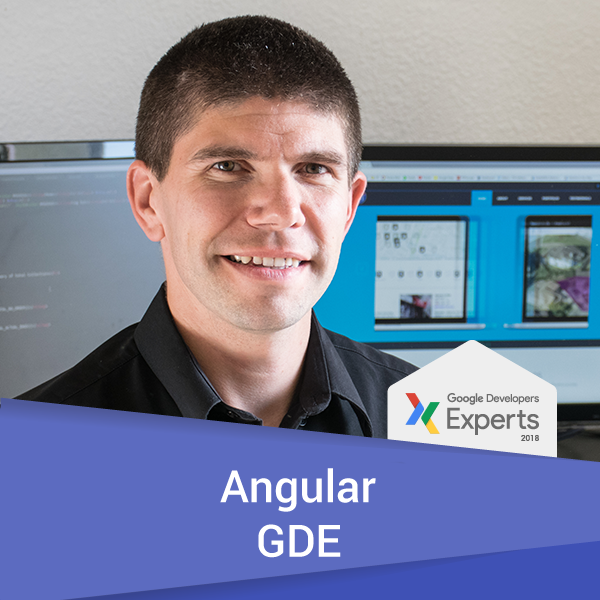 His daily mission is to help development teams get started and become fluent with Angular. He is the organizer of the Google Developer Group chapter in Sacramento, California, conference speaker, and published author of several video courses. 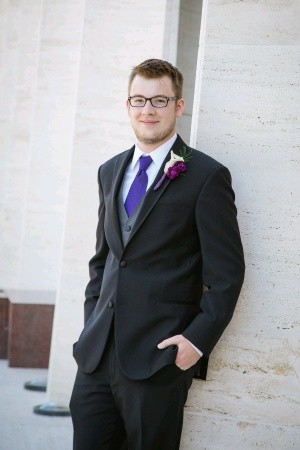 Mike Cole is a freelance developer living in Cedar Falls, IA. He's been around the proverbial block in the IT profession and has a wide array of experience in many fields. He has several years experience with working remotely and is very familiar with the benefits and drawbacks of working out of your own home. He is incredibly lazy and is always looking for easier and more streamlined ways to solve everyday problems. His passions in life include his family, sarcastic memes, the outdoors, and always having the last word. An original UX enterprise developer, evolving over the past 2 decades alongside CSS and web standards. In present day, Elizabeth is a Senior Lead Developer and Accessibility Compliance Specialist at Gallup, in Omaha, Nebraska. Her passion is accessible websites and bore everyone to death in her pursuit of bludgeoning the unsuspecting into compliance. Pierre DeBois is the founder of Zimana, an analytics consultancy that help organizations achieve profitability improvements in marketing, Web development, and within their business operations. Zimana has provided services for businesses from many industries. Zimana’s blog is an AllTop analytics blog, while its @zimanaanalytics was named among the top 100 Twitter accounts for big data discussion according to the Big Data Republic/PeerIndex #BigData100. • A general marketing workshop and panel for General Assembly in Chicago; • CivicBLUE workshops for BlueLacuna, a business incubator in the Pilsen neighborhood of Chicago; CivicBLUE explained the importance of data science for developing community solutions • The DX Summit, a marketing conference hosted by CMS Wire since 2015. • R programming workshop at Interop ITX in Las Vegas • Analytics workshop for Content Marketing World in Cleveland. 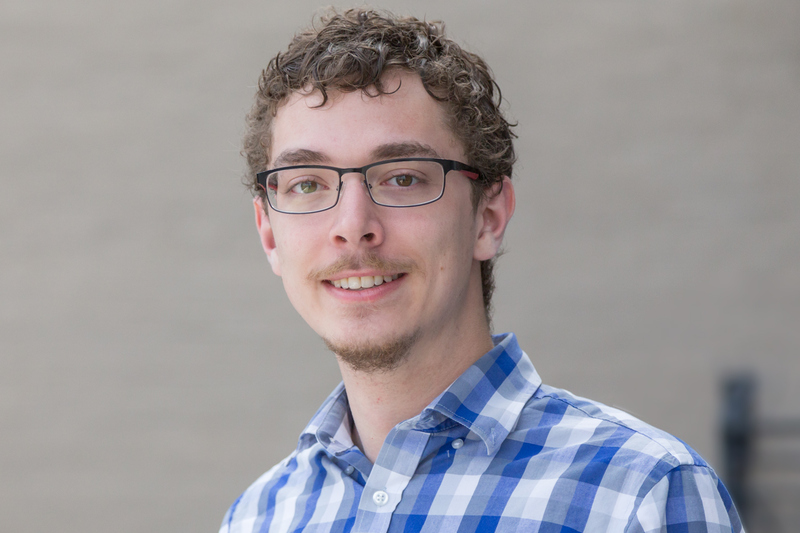 In 2018 Pierre will present on Google Analytics and R programming at Indy.Code and Nebraska.Code. Pierre is also an analytics tech and business intelligence writer. He has contributed articles to CMS Wire, DMNews, and several properties for UBMTech such as AllAnalytics. 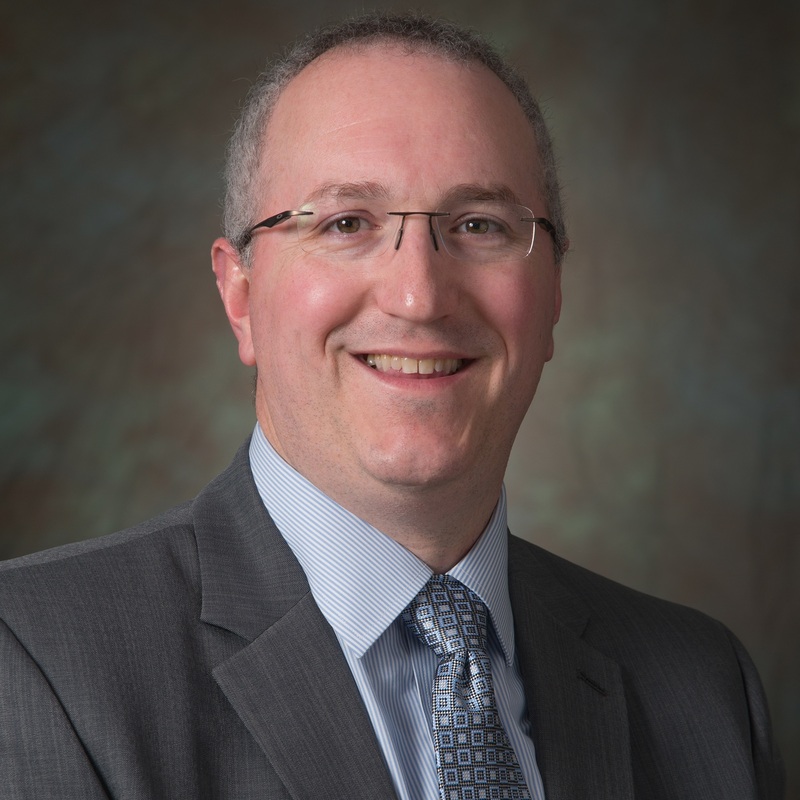 He is also an associate editor of business book reviews for Small Business Trends, as well as credit as a technical editor for two Pearson/Que publications. Pierre has been featured in the Chicago Sun Times, and was a presenter for the Google Get Your Business Online program. He successfully brought the program back to Gary Indiana in 2017. Pierre is Prairie View A & M University graduate (mechanical engineering) and a Georgia Tech graduated (MBA). He is a native of Gary, Indiana, serving small businesses and organizations throughout the United States. Kim DelSenno is curerntly a UX developer at Gallup, a company that provides analytics and advice for everything that matters. She has been a developer for 4 years. During that time she has worked on Gallup.com, Gallup Access and conducted numerous user tests on all of Gallup's websites. When she's not at work or on the computer, she enjoys teaching and practicing yoga, hiking, and spending time with her husband, their two dogs and three-legged cat . How yoga has made me a better developer. 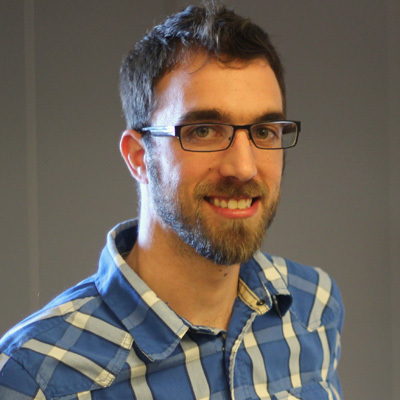 Chris DeMars is a front end developer first, UX architect always, from Detroit, Michigan. For his community contributions, he holds awards as a Microsoft MVP in developer technologies and Google Developer Expert in web technologies. 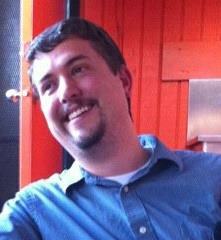 He is also an organizer for Vuetroit and co-organizer for the Ann Arbor Accessibility Group. Chris loves coming up with solutions for enterprise applications, which include modular CSS architectures, performance, and advocating for web accessibility. 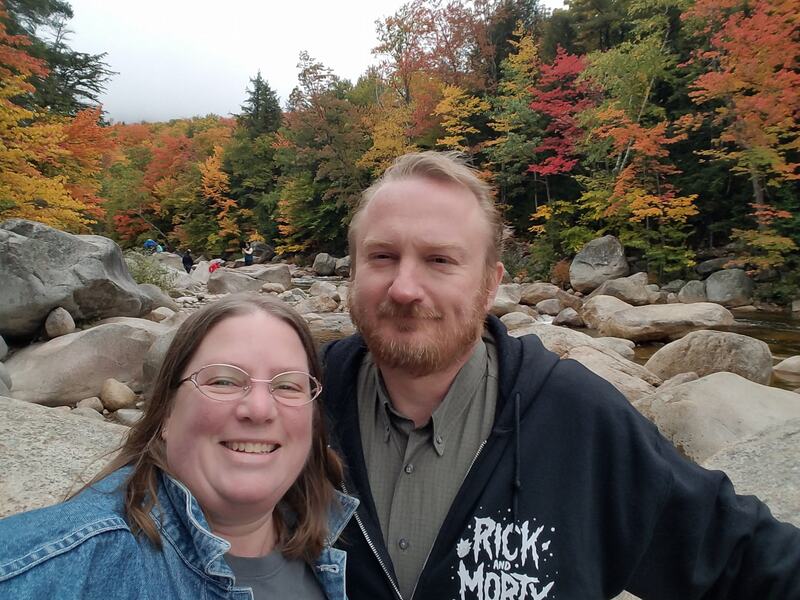 When he is not working on making the web great and inclusive you can find him writing blog posts, recording episodes of his podcast, Tales From The Script, watching horror movies, or in the woods of northern Michigan. My career has allowed me to continue learning in many aspects of business. From banking to dog supplies, from student loans to mortgage software, from statistician to sports writer. I've seen a lot and, more importantly, learned a ton! I currently serve as a UX Business Analyst for Mortech, which is a ZillowGroup company. We focus on mortgage pricing software and providing lenders an easy way to advertise and engage consumers for mortage related services. 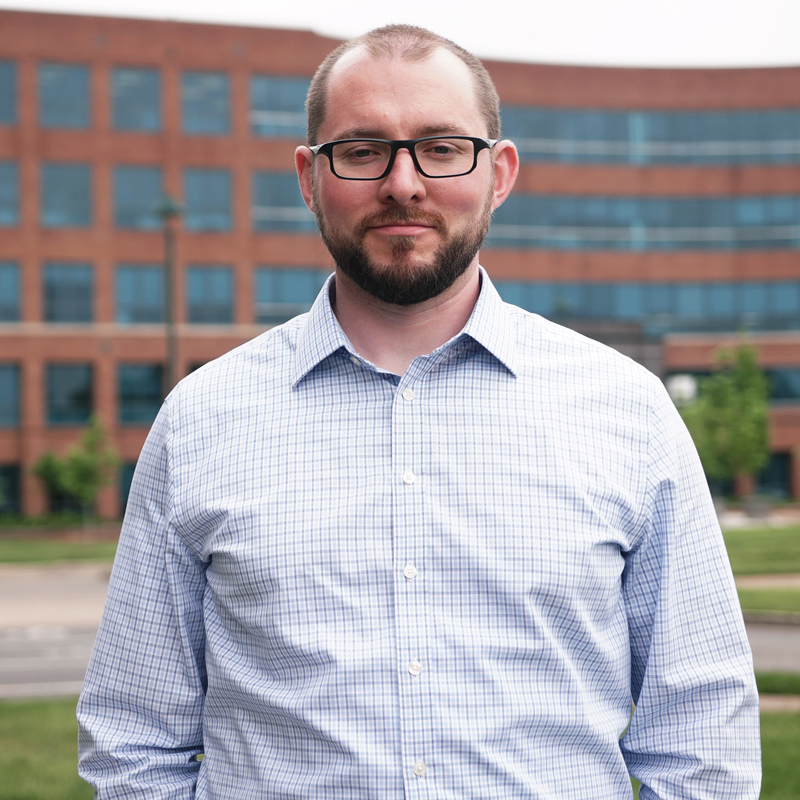 Bill is a Solutions Architect with VML working on delivering digital solutions to our clients. Over the last 15 years Bill has worked in enterprise IT starting in the trenches on the help desk. After that, Bill spent almost a decade working in infrastructure support focusing in the Microsoft stack. 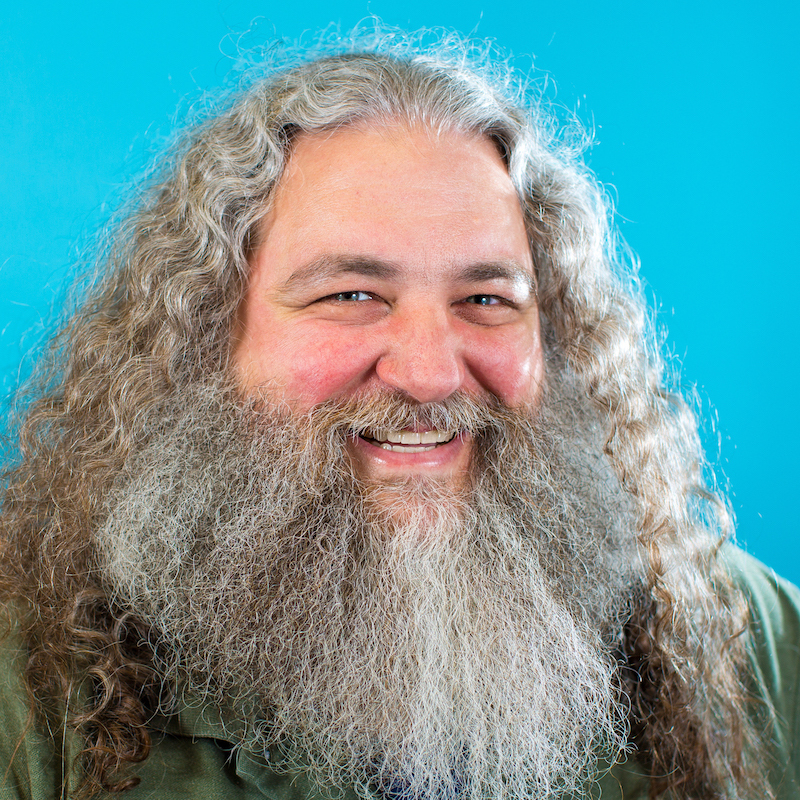 Over the last 5 years Bill has been developing, architecting and leading teams of software developers with VML. 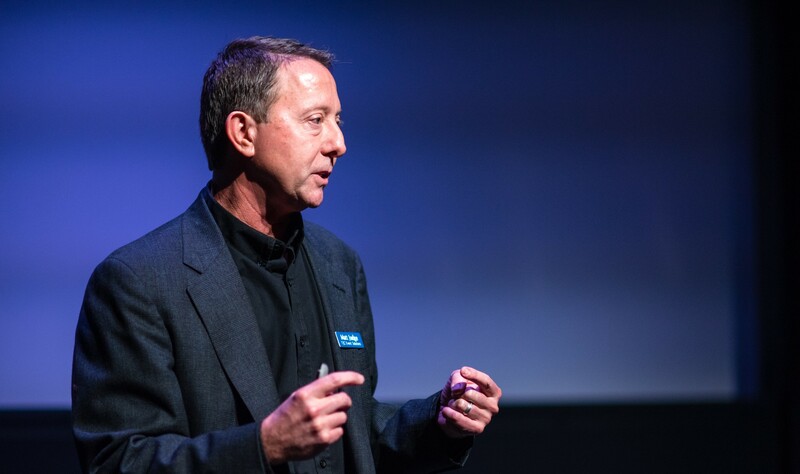 During that time Bill has done everything from troubleshoot dial up connections in rural Nebraska to building the digital experiences for some of America's most well known brands. When not working, Bill will probably be found on his bike exploring gravel roads in his hometown of Lincoln, Nebraska. I'm a Lincoln, NE native and have been programming professionally since 2000. I created the Our Time To Think (OTTT) Slack App to help teams find quiet time to get things done. I enjoy helping my team and mentoring others, including authoring several Pluralsight courses and over ten years of blog posts and tweets. Lately, I've been working as a consultant and technical lead for Keyhole Software who are based in Kansas City, but allow me to work out of my home in Lincoln. I'm active in the agile community here in Lincoln and enjoy making teams efficient with agile almost as much as I do solving business problems with C#.Net. 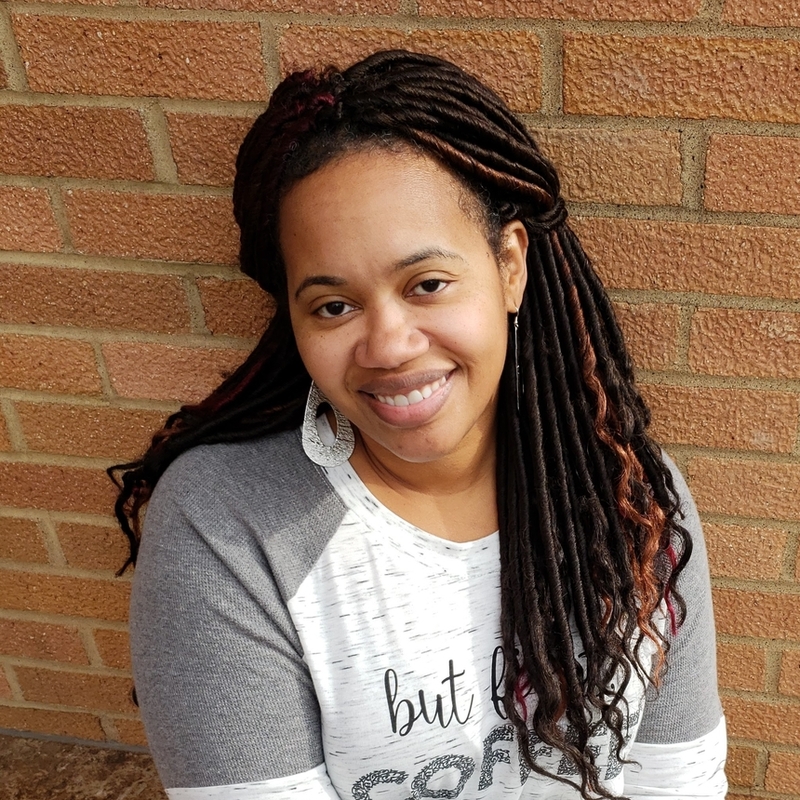 Kansas City native, Rhia Dixon is a software engineer at a data-driven tech company where she creates backend software applications using C#/.NET, Python, AWS and a variety of other tech. While she has always been a STEM girl and holds a B.S. 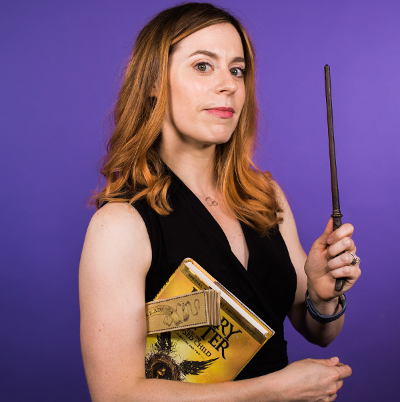 in Physics, her journey to the world of tech kicked off in the summer of 2017 during a full-stack web development bootcamp at the University of Kansas-Edwards Campus. 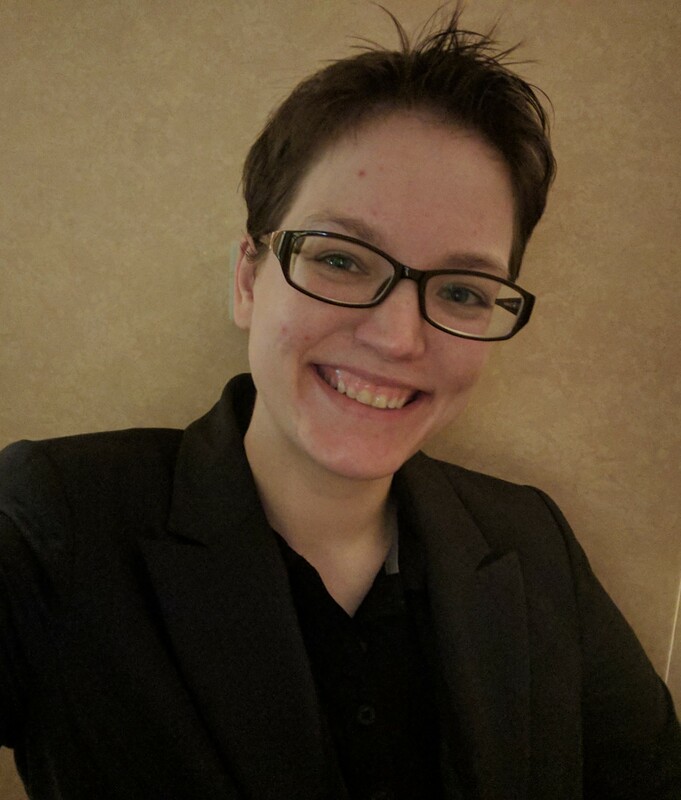 Rhia has immersed herself in the KC tech community by volunteering -- both as a mentor, and as Diversity & Inclusion Director -- for Kansas City Women in Technology, a non-profit organization dedicated to bringing women in technology together and encouraging more women and girls to pursue careers in technology. When she’s not writing code or volunteering, Rhia is chasing her toddler, making jewelry and crafty things for www.afromotif.com, binge-watching Marvel and Harry Potter movies, or spending time making memories with family and friends. Arthur (or Art, take your pick) has been a software engineer for 14 years and has worked on things as exciting as analysis software for casinos and things as boring as banking websites. He is an advocate for talking openly about mental health and psychology in the technical world, and he spends a lot of time thinking about how we program and why we program, and about the tools, structures, cultures, and mental processes that help and hinder us from our ultimate goal of writing amazing things. His hair is brown and his thorax is a shiny blue color. 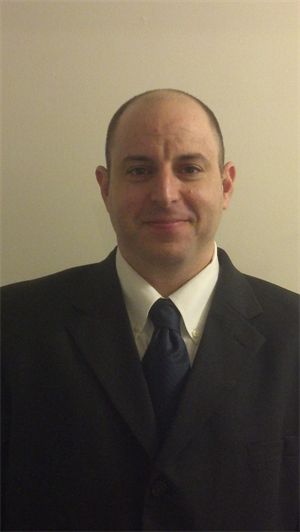 Mike Douglas is a Solution Consultant at Deliveron Consulting Services. 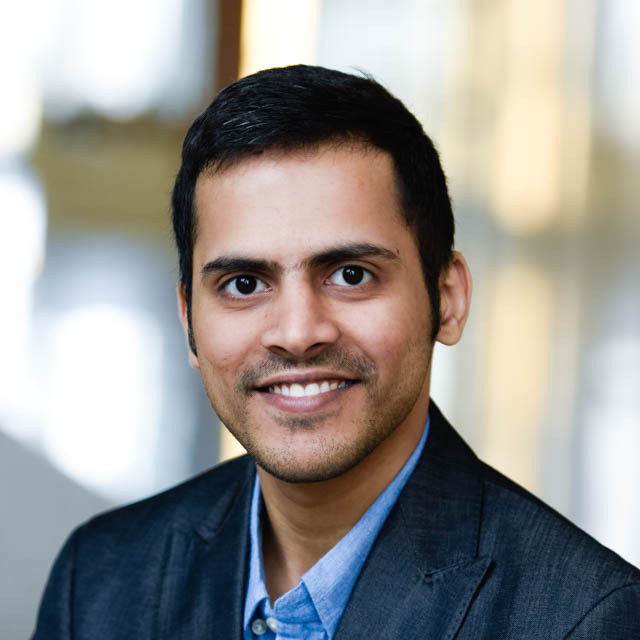 He specializes in working with development teams to implement Secure DevOps and Application Lifecycle Management (ALM) solutions to eliminate traditional silos between development, testing, project management, and operations to establish cohesive processes from idea to production. 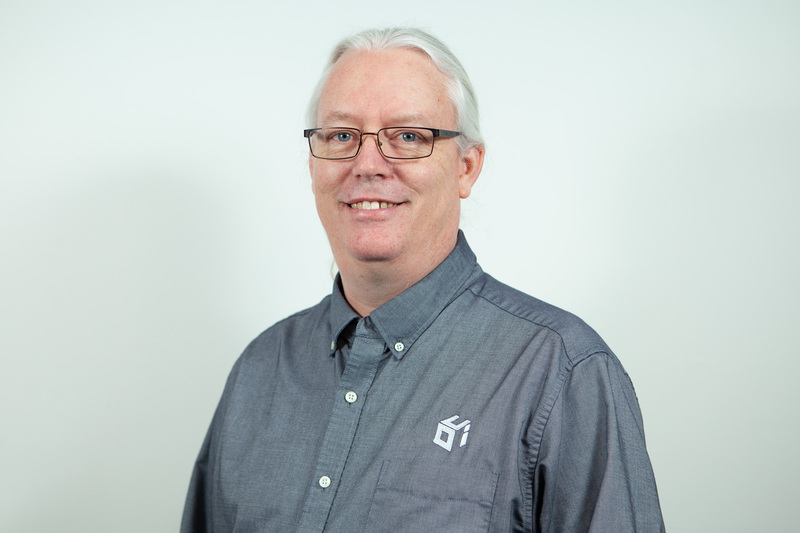 Mike is an experienced presenter and has spoken at local user group meetings and conferences such as VSLive, HDC, KCDC, All Day DevOps, and Nebraska.Code(), He is also a Microsoft MVP for Developer Technologies and is also an ALM / DevOps Ranger. Adam is 20-year veteran of the web industry, working up and down the stack from Fortune 500 companies, to less fortunate 3-person startups. A full stack developer for the first half of his career, he's now more focused on front-end concerns, from human design factors to React components, and all the Sketch and Sass in between. Now an "Architect" (which means about as much as the "Engineer" did when he was a Software one), he focuses on bigger-picture problems, and hopefully, gives talks. Michael Fairchild is an Accessibility Consultant at Deque Systems. He spends most of his time helping organizations make their digital content accessibile to people with disabilities. He spent nearly a decade as a Web Applications Engineer at the University of Nebraska, where his passion for digital accessibility grew into a full time job. 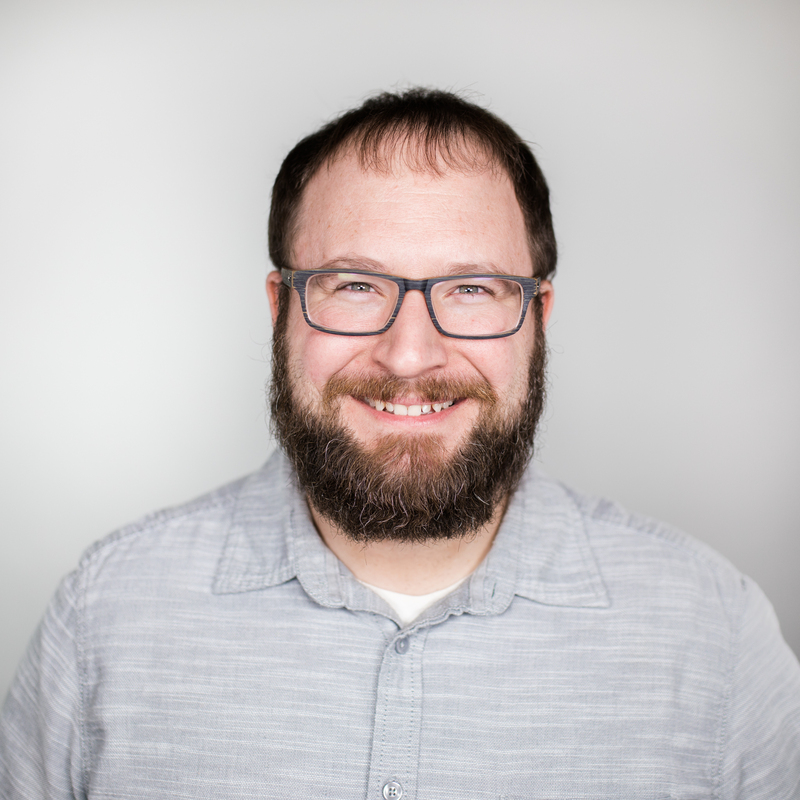 Michael is a Certified Professional in Web Accessibility, helps run the Nebraska Digitial Accessibility meetup, and really enjoys a good doughy cookie. Jared is a Microsoft MVP and the VP of Solutions at HMB (http://www.hmbnet.com), an IT solutions provider in Columbus, OH and Louisville, KY. His focus is on building great teams that go out and solve the most difficult problems for their clients. Jared helps organize Stir Trek as well as a variety of other events in and around Columbus, OH. He is an international keynoter and frequent conference speaker. In fact, if he doesn't have some conference deadline he doesn't know what to do with himself. You can find out more about him at http://jaredthenerd.com or follow him @jaredthenerd. 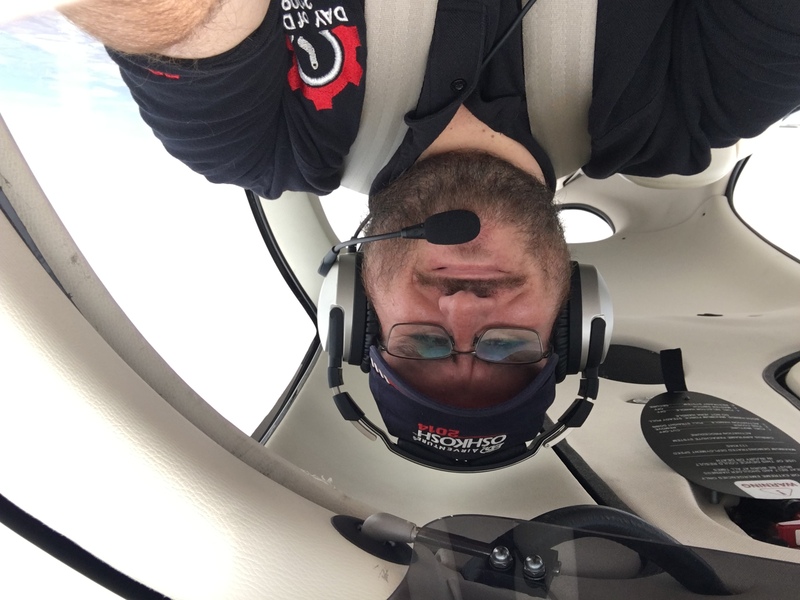 Professionally, I am a business analyst with Duncan Aviation and have been developing software ever since graduating from SCC - Milford in 2002. Most recently, we have been developing on a new tech stack including angular 2+ and node, both using typescript in VS Code. Personally, I am a husband and father of 5. I'm also a youth minister, worship leader, football coach, and a mentor. I am an experienced .Net developer, previously certified as an MCSD .Net in C#.net [expired]. I have a masters of science degree in computer information systems, and a bachelor of science degree in computer science. I also have many years of experience instructing college courses online in SQL databases, C#/VB .Net programming, Java programming, and Microsoft Office. I have created many online technical training courses that can be found on various platforms like O'Reilly/InfiniteSkills, Udemy, and others. I also run MajorGuidanceSolutions, a training and consulting company ,while working fulltime as a .Net developer. 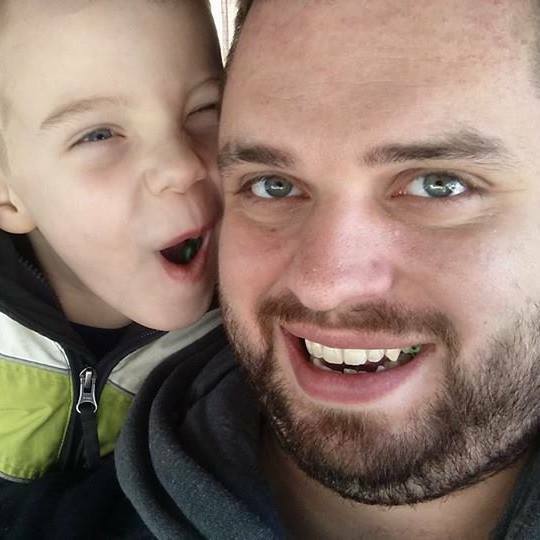 Chad Green is a manager, software developer, architect, community leader, and most importantly a father and husband. Chad works as the Data & Solution Architect for ProgressiveHealth where he manages the application development team which is responsible for crafting software solutions for the various company affiliates located across the country, which provides health and wellness solutions in the healthcare and industrial service settings. Over the years, Chad has managed groups from 5 to 63 people and worked on projects in a wide range of markets including healthcare, military, government, workforce management, financial services, chemical research, and electronic commerce. One of the ways Chad has kept up with technology and development practices is by attending user groups and software development events throughout the country. Being a big believer in giving back and wanting to ensure that there are cool events for other software development professionals, Chad founded and chairs the annual Code PaLOUsa conference, organizes the Louisville .NET Meetup user group and the Monthly Tech Leader Coffee and Discussion, and has helped with other groups like the Louisville Tech Ladies and events like Cincy Day of Agile. 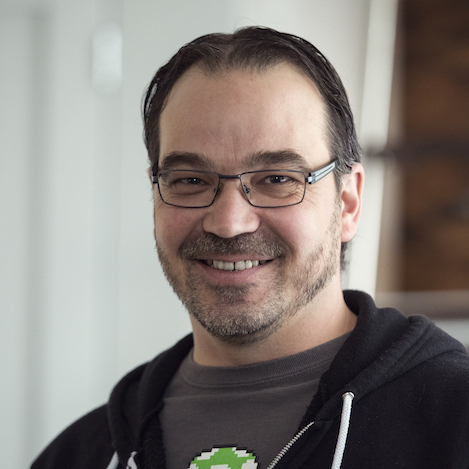 Chad also speaks at user groups and conferences about .NET development, DevOps, Serverless, and leadership. 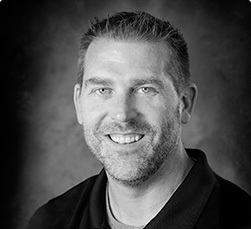 Scott Grimes is a Software Engineer with 19 years of experience on DoD Projects working in the Omaha area as a Software Engineer and Product Owner, and is an experienced Agile software developer. 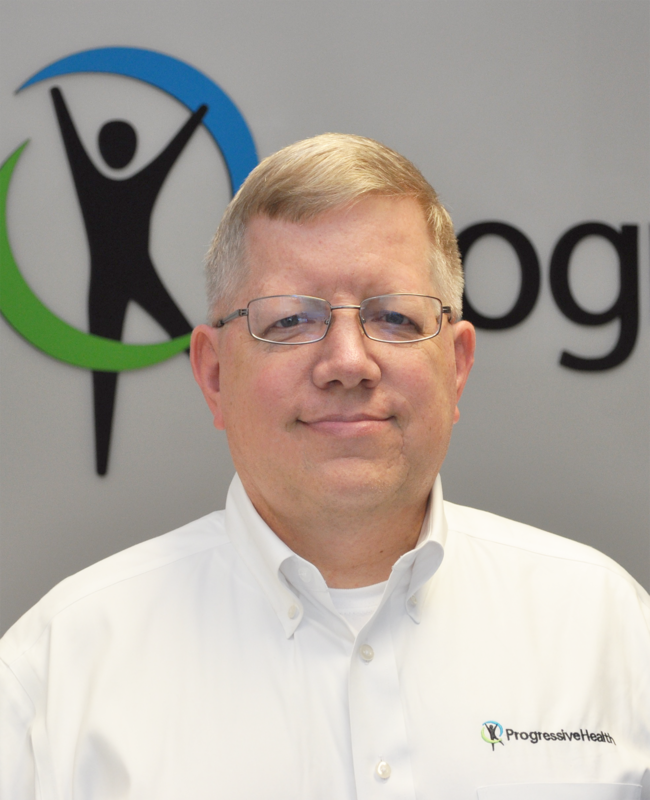 Scott is a Co-Organizer of the Agile for Defense group in Bellevue, NE, and an advocate for Agile practices. 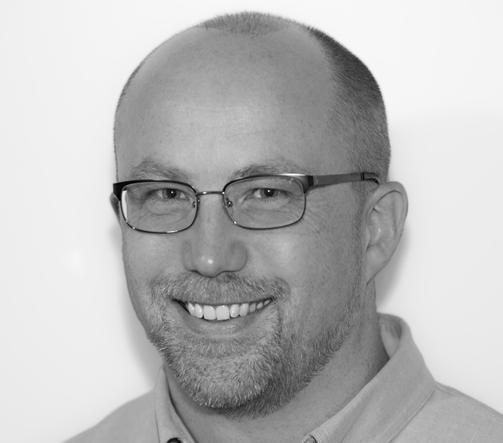 Scott works as the Chief Product Owner for the Global Adaptive Planning project at USSTRATCOM, and is a ScrumAlliance Certified Scrum Professional (CSP-SM and CSP-PO), as well as a PMI-Agile Certified Professional. 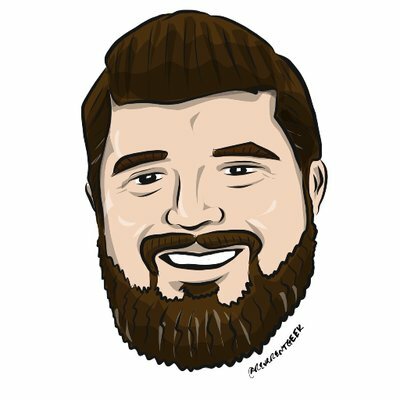 Scott has a MS in Computer Science from University of Nebraska, Omaha, and a BS in Computer Science from Iowa State University. Mary is currently a Java Developer Advocate for IBM Cognitive Applications Group, specializing in Reactive Java systems. 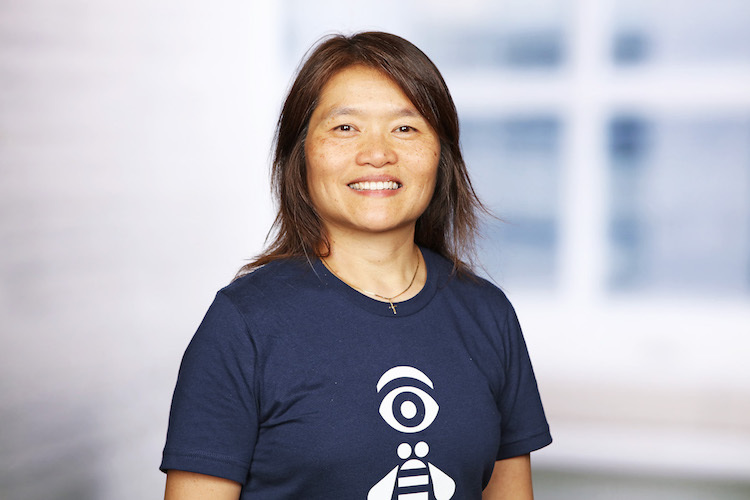 She has been riding the software tech waves since 1989, starting with Unix and C, then set sail for Java, open source, and web in the new Millennium, and now venturing into reactive, mobile, and the DevOps space. In her previous incarnations, she worked for several technology product companies in the Route 128 Boston Technology Corridor as well the San Francisco Bay Area. 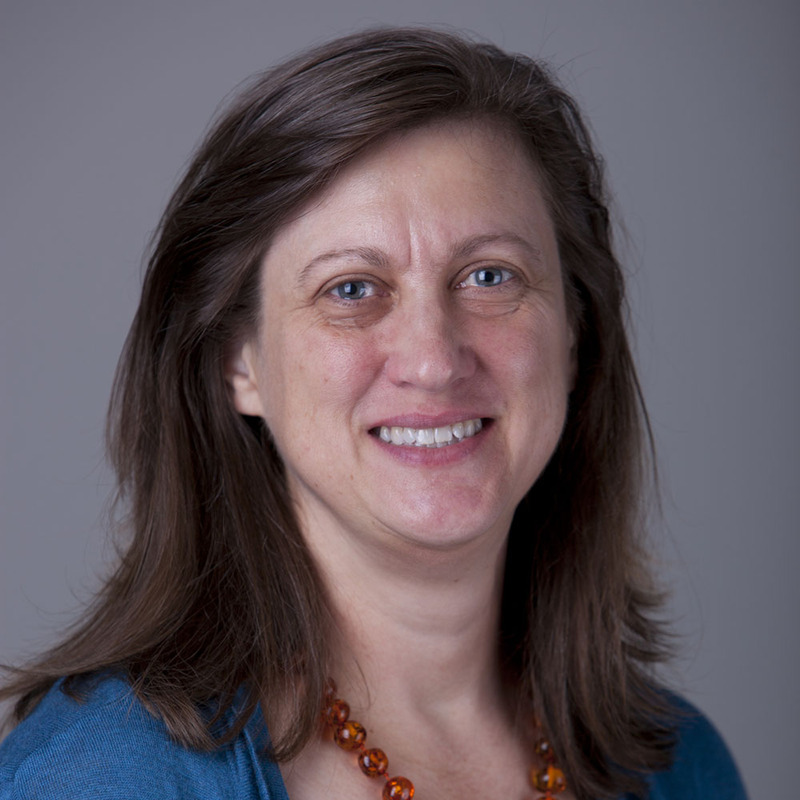 She now resides in the Greater Chicago area, and is an Executive Board member and the Director of Meetings for the Chicago Java Users Group (CJUG). Mary continues to be amazed by how software innovations can dramatically transform our lives. She can't wait to see what the next tech wave will be like. Courtney's passion for the web all started with teaching her 11-year-old self how to write CSS on a dial-up internet connection on a farm in rural Iowa. Since then she has been in a myriad of positions including a Flash developer for several higher ed institutions, a Joomla developer, a brief stint as a server admin, a designer, a full stack developer, and a project manager. 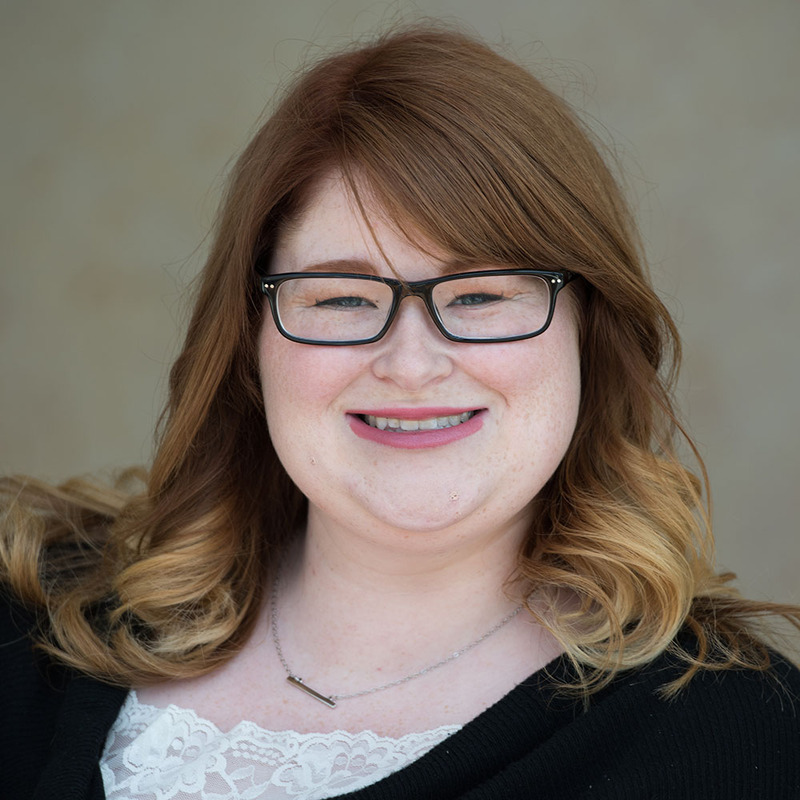 Currently, Courtney is a UX Developer, Scrum Master, and Accessibility Compliance Specialist for Gallup in Omaha, Nebraska. Her passion is making a web that is usable and accessible to all. I work at the University of Nebraska Admissions office overseeing the front end development of several of our sites relating to Admission. I work with the designers to turn their designs into a website and make changes and maintenance as needed. I worked at Assurity for 5 years. While I am doing development work I do have a passion for UX and UI and look for opportunities to grow in that area and opportunities to use what I have learned. I have had previous employment at the University where I was the web admin and worked closely developing the best possible experience for the client and delegated responsibilities to a team. Outside of work I have wife and 2 wonderful children, Elysia, who is 4, and Ethan, who is 2, as well as one that should be a couple months old when I present. While I have really enjoyed my web freelance opportunities over the past decade having a family has heavily curtailed that; but totally worth it. As far as education I got my Bachelor's in Computer Information Systems (eCommerce emphasis) and in 2017 I got my Masters in Instructional Technology at the University of Nebraska - Lincoln. I do have a passion for how people learn through computers (especially games) and this really forms how I view UX and how a really great UX system is one so unobtrusive you don't even notice it at all. Ryan is a beer brewing, wood cutting, beard growing, software crafting, father of three. He enjoys long bike rides with his family and keeping up with the current tax laws. 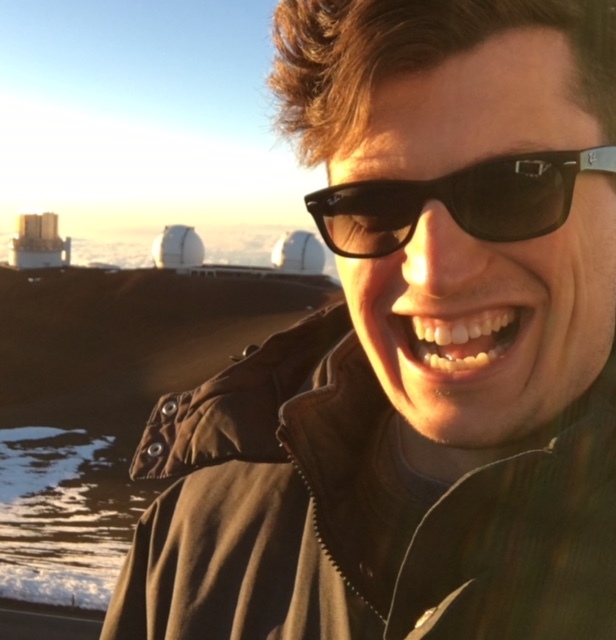 He has aspirations of someday building a multi-million dollar software company, but in the meantime he’s content drinking cold brew and helping people and Midwest companies be awesome. I have been in the business world in many capacities since 1985. I am a graduate of Indiana University and the Advertising Arts College. My career includes being a comedy writer and morning show personality, owning an import-export business, and finally ending up where I belong, providing software to help professionals do their work more profitably and efficiently. I have a long list of clients, including the Formula One race, major corporations, Super Bowls, and much more. I speak a couple of other languages (human, not programming) and my work has taken me to more than 25 countries. I still work as an online service provider and am a frequent speaker to professionals in many fields. I am not a coder; I can help tech professionals be better at their jobs and generate more business. Software architect looking to learn as much as possible from the people I work with. Experience with a wide array of software development tools. Interested in new technology and new business ideas. 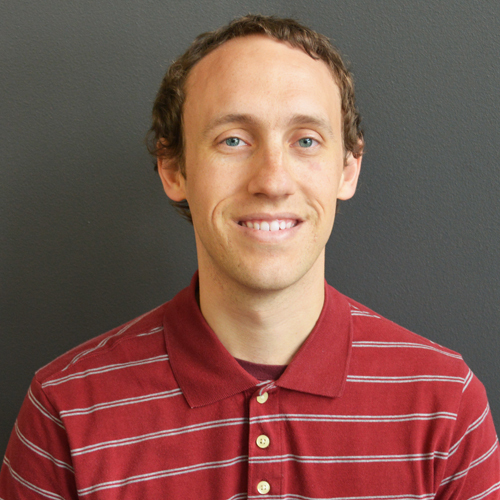 Devin is a full-stack engineer with a passion for learning new approaches to problems. In working at Artisan he has been involved in wide variety of projects that used various technologies and frameworks. His favorite area to work in is the front-end but he hasn't been able to pick between Angular, React, or Elm as his favorite framework. Billy is a developer advocate with IBM and has over a decade of experience. 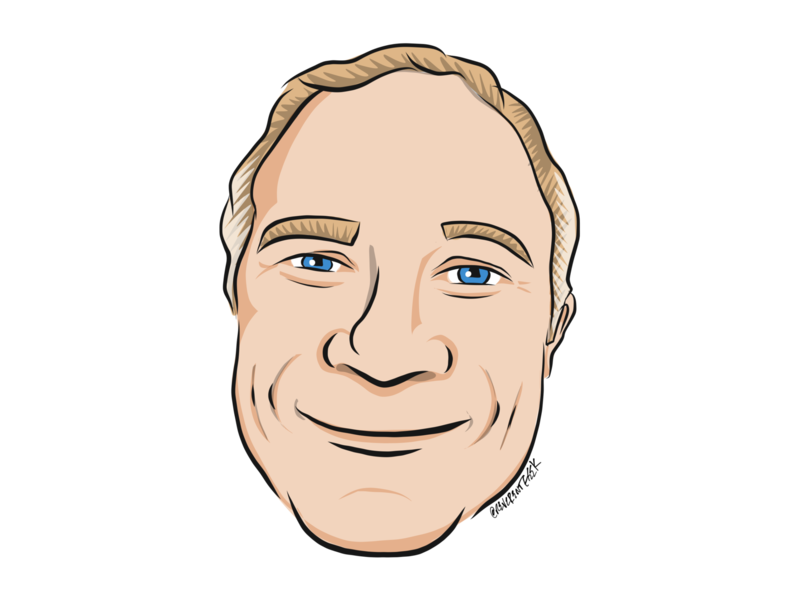 Billy is passionate about finding ways to reduce mental capacity waste from tedious work; such as project initation, deployment, testing and validation, and so on through automation and good management practices. Outside of work Billy enjoy traveling, playing kickball, and having his heartbroken by cheering on the Kansas City Chiefs. Hi! I have been an Agile enthusiast for 8ish years using the mindset and frameworks in both IT and operations setting. I am most recently in the role of Scrum Master, but have also done a stint as a Product Owner. I have a passion for bringing teams together to accomplish awesome things and have fun while doing it. Playing with Purpose. Up your Agile game! A software engineer in the Ag industry with experience working on web applications/services and embedded applications. Organizer of South Dakota Code Camp and Sioux Falls Developer's Group. Currently focused on keeping a team moving forward modernizing and instrumenting a cloud products codebase spanning multiple languages and platforms. Kevin Logan Software Engineer, Omnitech Inc. I've been a developer at Omnitech since 2007and have worked on a variety of projects. I have worked mostly in .Net with a focus on UI development in web applications (using KnockoutJs and TypeScript), but I'm always learning and looking forward. I enjoy sharing links and ideas, blogging at http://www.aligneddev.net, Unit Testing, thinking about DevOps and software process. I have a wonderful wife and 3 children. We're involved in our church, homeschooling this year. I enjoy riding my bike to work, playing with the kids and playing guitar. Joel Lord is passionate about web and technology in general. He likes to learn new things but most of all, he likes to share his discoveries. He does so by travelling at various conferences all across the globe. He graduated from college in computer programming in the last millennium. Apart for a little break to get his BSc in computational astrophysics, he was always in the industry. 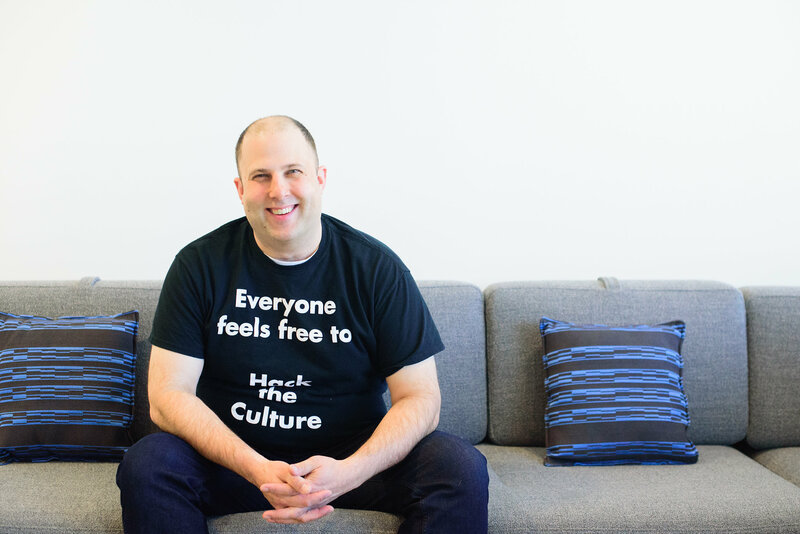 As a technical evangelist with Auth0, he meets with developers to help them make the web a safer place. During his free time, he is usually found stargazing in a camping site somewhere. 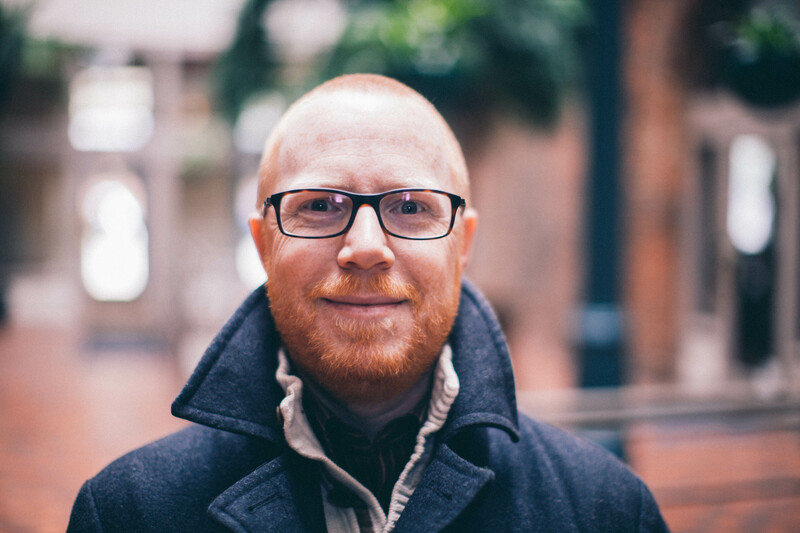 James is a developer and security advocate whose biggest responsibility is leading developer security practices. 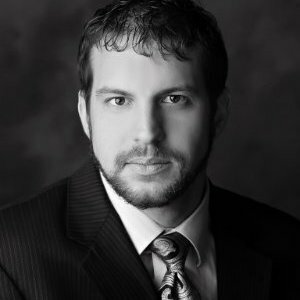 He sets the standards and procedures for how the practice operates, and leads all client engagement efforts with regard to security. He also takes the lead in making sure that company staff (developers specifically) are properly trained and following best practices with regard to application security. James also acts as a system and application architect, and oftentimes he evaluates application design as part of the security audits he performs. In a past life James was responsible for Architecting and developing solutions on multimillion implementation efforts. Key clients included the Eight Fortune 500 companies (Seven in the Fortune 100), as well as several well known non-profits and leaders in their industries. Vertices served included healthcare, transportation, financial services, retail, insurance, and energy. 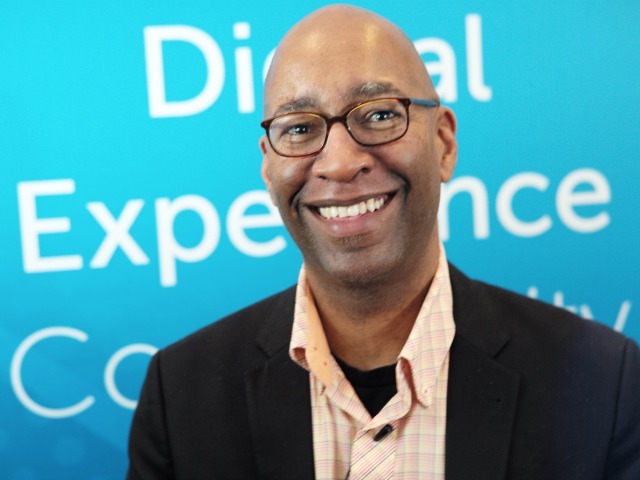 Duane is Co-Founder of Alien Arc Technologies, LLC where he focuses on creating apps targeting mobile devices, modern desktops, and the Internet of Things. As a Microsoft MVP and technology enthusiast with a passion for good software he strives to bring solutions that improve or eliminate costly duplication and repetitive processes so more important things can be done. 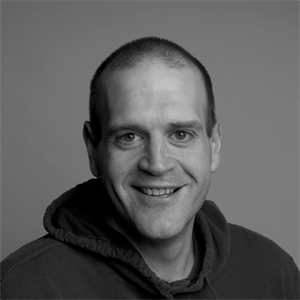 He enjoys teaching others through his random blog posts and by speaking at conferences on topics ranging from DevOps to Xamarin. When not behind a computer screen he can be found sharing his love of SCUBA and all things underwater with new divers at the pool or through his underwater videos and photos. Who am I? I am a strategist that has been blessed with an understanding of technology and cursed with continually asking the question "Why not?". I am an experienced software developer, IT manager, agile professional, volunteer, and business owner with 25 years of experience. My development experience includes C#, SQL Server, ASP.NET, VB.NET, as well as a multitude of other languages/applications (all the way back to C/C++, FORTRAN, and some assembly). I have spent considerable time in marketing and analytical applications including data warehouses and business intelligence apps. I have started two businesses from ground zero and helped a third grow from concept. This involved many aspects of management including HR, writing business plans, raising capital, sales, etc. I am comfortable working with clients to resolve their issues with potential solutions and enjoy the business development aspect as it relates to technology. 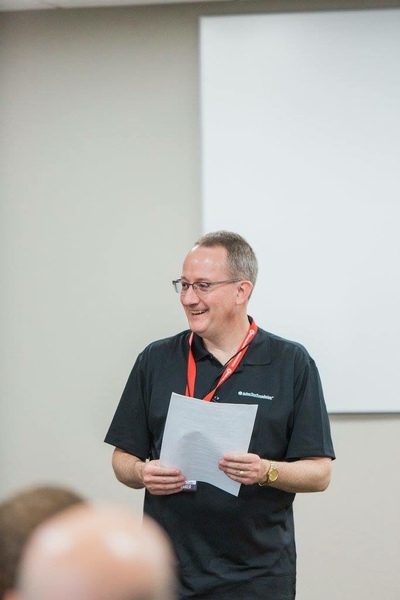 As a leader of agileLNK, a local user group of agile professionals, I enjoy helping people share their knowledge as a community and learn from one another. 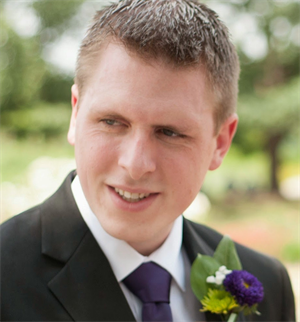 CJ O'Hara is a Software Engineering Manager at Firespring in Lincoln, Nebraska. He has 7+ years web application development experience. 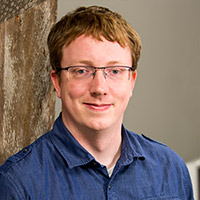 CJ started as a frontend developer building designs for website clients and now is a full-stack developer specializing in large scale web applications. He is the lead developer for Givesource; an open source, serverless, giving day platform responsible for processing millions of donation dollars within 24 hours, hosted on Amazon AWS. Ashish Pandey, a systems application developer at Gallup and a graduate from Northwest Missouri State University, have gained experience for around 4+ years working on various technologies and.NET, I have always been fascinated towards the security of networks and practicing to be an expert in understanding and prohibiting the possible flaws while developing code in this fast-paced technological world. Apart from that, I keep interests in writing poems, painting, adventuring, volunteering, giving talks and I admire astrophysics as I see there are a lot of questions yet to be answered. Conceptualizing OAuth, OpenID and Implementation of the Identity Server. I am a developer from Omaha, NE. I love to try new things, even when it means starting from the ground up knowledge-wise. My biggest fear is finding myself pigeon-holed into a certain position, which is why I like to challenge myself to do things a little differently when I can. In my freetime I enjoy rock climbing, hiking, and camping- just about anything that gets me outdoors. Guy works for DataRobot in Columbus, Ohio as a Developer Evangelist. 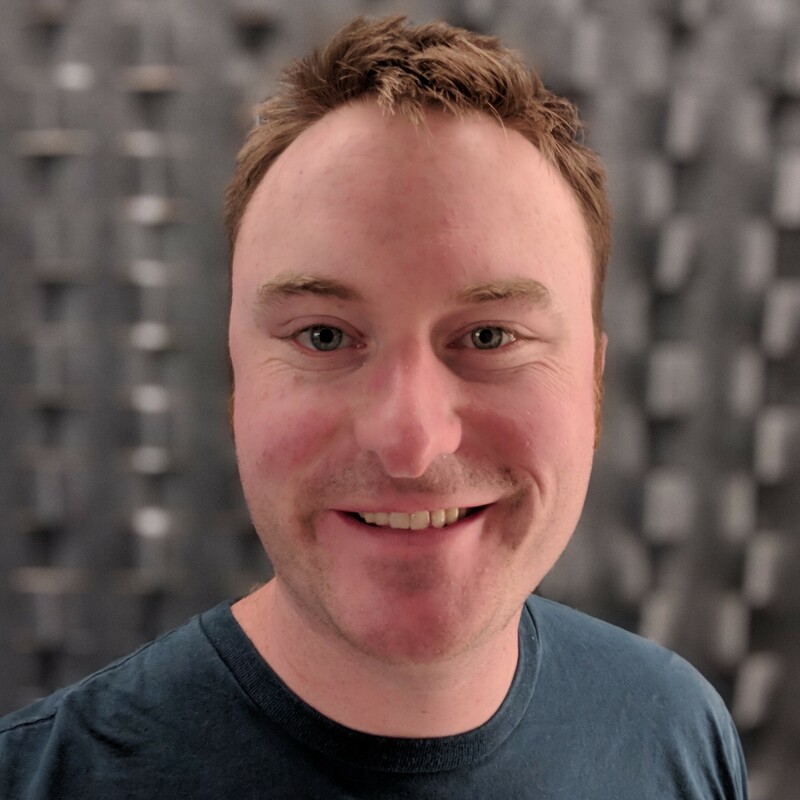 Combining his decades of experience in writing software with a passion for sharing what he has learned, Guy goes out into developer communities and helps others build great software. In past lives, Guy has worked as a consultant in a broad range of industries including healthcare, retail, and utilities. He also has spent several years working for a major insurance company in central Ohio. This has given him a broad view of technology application toward business problems. In his personal life, Guy is a hard-boiled geek interested in role-playing games, science fiction, and technology. He also has a slightly less geeky interest in history and linguistics. In his spare time, he volunteers for his local Cub Scout Pack, goes camping, and studies history and linguistics. Guy lives in Ohio with his wife, his three teenage sons, and an entire wall of games. Christine is from Omaha, Nebraska where she works as a full stack Ruby on Rails engineer at Flywheel, WordPress hosting for creatives. She has 12 years experience as a Java software engineer with a focus on APIs, micro-services, and incorporating security through the whole SDLC and took the plunge into Ruby just this May. In her spare time she is an avid long form reader, lover of all true-crime podcasts and is attempting to work through the primary Ashtanga yoga series. Mitchel Sellers CEO, IowaComputerGurus, Inc.
Mitchel Sellers, Microsoft MVP, ASPInsider, is the CEO of IowaComputerGurus, Inc. an Ankeny, Iowa based software consulting organization. Mitchel enjoys sharing his experiences with others at local events and conferences. As a consultant and former educator, Mitchel tries to take a real-world approach to software development presentations. When not working with code you will find him flying around the US. Micah Silverman is a Senior Developer Advocate for Okta. 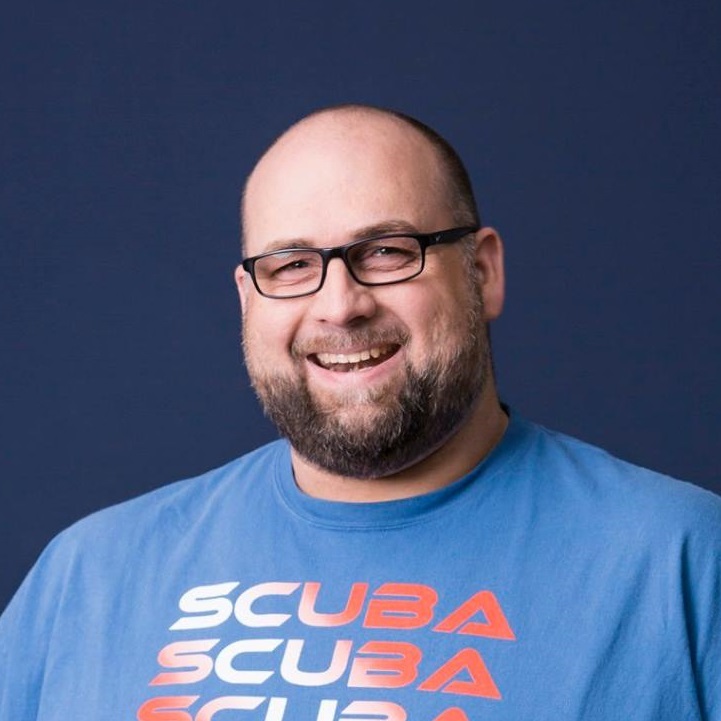 With 24 years of Java Experience (yup, that's from the beginning), he's authored numerous articles, co-authored a Java EE book and spoken at many conferences. He's a maker, who's built full size MAME arcade cabinets and repaired old electronic games. 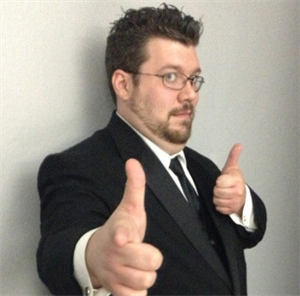 He brings his love of all things Java and Developer Evangelism to a conference near you! I've been a software engineer since 2007, and I've worked in a variety of business domains from Ecommerce, to life insurance, to online food ordering. My favorite thing to do is learning about technology, and my second favorite thing to do is talking about the things I've learned to people who are willing to listen. I am particularly passionate about system design, architecture, automation, and clean coding. My style of learning and presenting is to first pull back to a big picture view and look at things abstractly, and then delve into the details a little at a time to ensure that not only do you learn something, but you learn something in a way that's transferrable to related technologies. When Gabby Spurling started her career in technology, she had no idea if it was possible to combine her newfound love for coding with her passion for marketing, but was determined to find a path to get her there. Along the way she was exposed to a broad array of industries and technologies, from big data analytics in oil and gas to creating event driven applications in insurance. Currently working as a Lead Technologist at VMLY&R, Gabby's found a place where she can do both while supporting major clients like Ford, Sprint, and more. The common thread across all of her work has been creative problem solving and learning from incredible teams. Jeremy Suing is the Jeffrey S. Raikes School Senior Project Manager for Design Studio and a Lecturer in the Department of Computer Science and Engineering at the University of Nebraska-Lincoln. Mr. Suing has been involved in management and development of enterprise software systems for more than 20 years, working in both large corporate and educational environments. He has been with the Raikes School since 2005 and has helped manage more than 200 projects with nearly 100 unique sponsoring entities. Mr. Suing has received the Certified Scrum Master, Certified Product Owner, and Certified Scrum Developer designations from the ScrumAlliance. Prior to joining the Raikes School, Mr. Suing had 7 years of software engineering and project management experience working directly with ERP software solutions for Oracle USA, Inc. (formerly J.D. Edwards & Company and then PeopleSoft, Inc.). He has a Master of Science in Computer Science from the University of Colorado at Denver and received his Bachelor of Science in Computer Science and Mathematics from the University of Nebraska at Kearney. Jeremy has over twenty years of experience in technology focused on accessibility and accommodation design and evaluation. 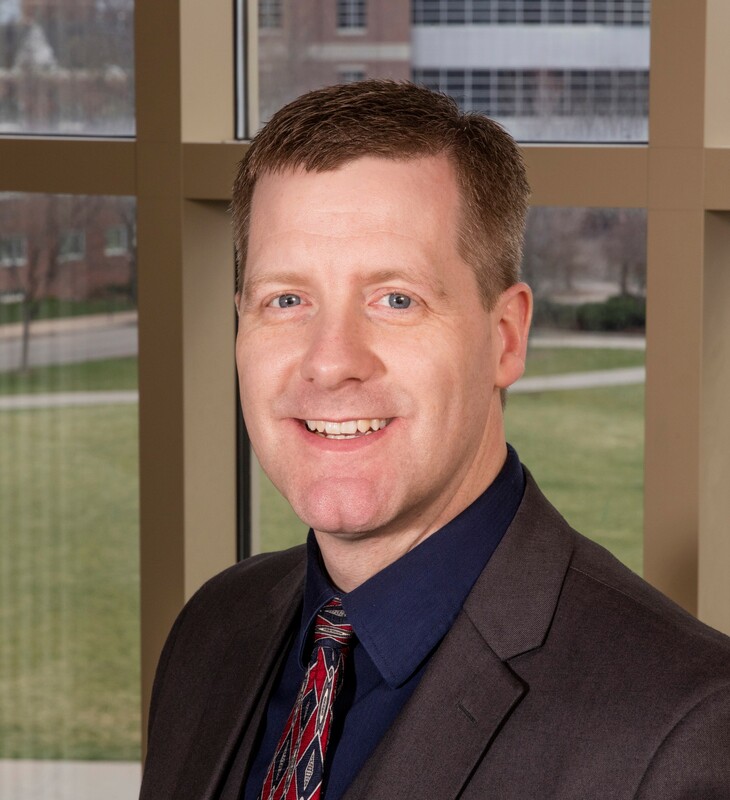 He is the author of Design Accessible Web Sites and is the Director of Accommodation Resources and Deputy 508 Coordinator at the University of Nebraska. Coming from background in both computer science and cognitive psychology gives Jeremy a unique perspective in understanding and workin through the barriers between system and user. A Lincoln native, Megan has been with the Arbor Day Foundation since July 2018. In her role on the Corporate Partnerships Team, Megan has the privilege of collaborating with global organizations to develop strategic approaches for using trees to support their Corporate Social Responsibility and Sustainability objectives. With a background in service and operations leadership, Megan is passionate about continuous improvement to deliver excellent outcomes for partners. 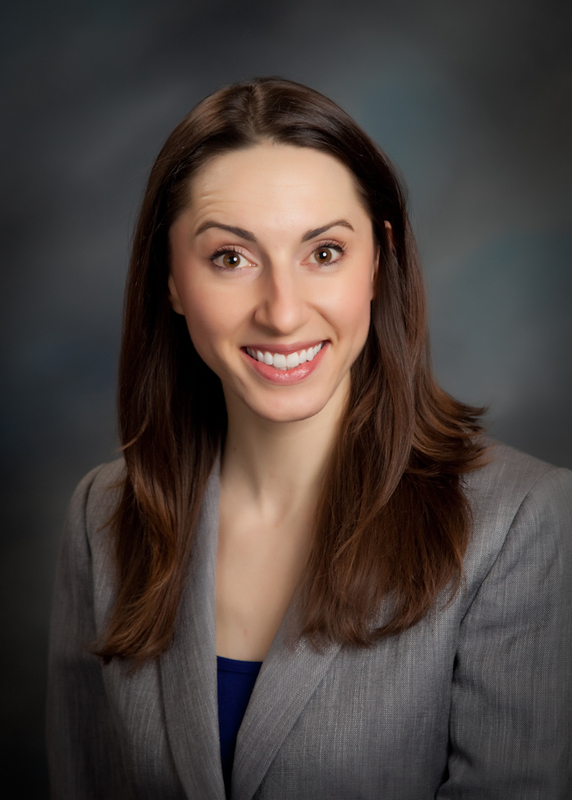 Prior to the Arbor Day Foundation, Megan spent seven years with a recognized leader in the healthcare consumer perception and governance space and three years with a globally known healthcare information technology organization. Her roles spanned from HR functions prioritized on organizational development to positions leading teams responsible for customer service and operational delivery. Megan believes in letting data and analysis influence decisions. She advocates for collaboration between team members, partnerships with clients and involving other stakeholders for the best outcomes. She attended Nebraska Wesleyan University graduating with Highest Distinction and a double major in Business Psychology. I love to build things, solve complex problems and work with passionate people. As a kid, I focused on building massive LEGO models to escape the brutal summer heat of Oklahoma. That was replaced with writing software, building websites and learning as much as possible about computers. After years of working as an engineer, I shifted my focus to building high performing teams using the lessons of agility. My quest to improve teams has taken me on adventures in the Twin Cities of Minnesota to most recently the Atlanta metro. Currently, I'm having a blast modernizing the mindset at a large, distributed, complex organization called Fiserv. Harley is a software developer at Gallup, a company that provides analytics and advice about everything that matters. He has been a developer for 5 years. During that time he has written miles of C# and SQL, built a self-driving boat, created several toy programming languages, and otherwise earned his geek credentials. While not at work he enjoys reading sci-fi and fantasy, scraping web sites to do weird data science, and singing in choirs. Mat Warger is a senior consultant with Keyhole Software. He enjoys learning new concepts and has leveraged this curiosity in positions ranging from startups to the enterprise over the past decade. He can be found chasing the latest and (sometimes) greatest in a wide range of languages and platforms, including React, GraphQL, and the cloud. Find him on twitter @mwarger. Back in 1997, my first application development project was an unmitigated disaster. The sponsor of my internship (the VP of Sales) didn’t like the contract developer his boss had hired to build and maintain their Customer-Vendor system in Lotus Notes. He wanted me to rebuild it using MS Access and promised it would be easy. You can see the problem already, right? Lowly intern caught in the internal politics of a VP and his boss. I was a pawn and I had the VP of Sales defining my requirements, estimates and schedule. I was doomed from the start. Thankfully, at the last minute, the company president hired a VP of IT that covered my back and started teaching me how to manage IT projects. Since then I have been a student of application development and IT project management. I started using Agile Software Development in 2001 to improve the consistency and accuracy of app dev projects I was leading. When I started my slow transition away from application development in 2007, I began to focus solely on how to make IT projects more successful through the application of varied project management and business analysis approaches. Today, I work as an an enterprise applications architect for a mid-sized financial services company, where I continue to promote agile philosophy and IT project management processes in the infrastructure teams I work with. I'm also a long-time coordinator with the agileLNK Meetup (formerly known as the Lincoln Agile Community). 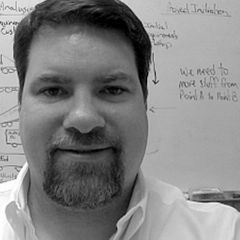 John M. Wright has been a professional software developer for about 18 years, gaining experience ranging from “shrink-wrapped” software to large, distributed networks using multiple platforms and technologies. His experience spans the entire software lifecycle and though he has experience in a management role, his passion lives in writing high-quality, clean code while providing leadership through technical direction and mentorship. He enjoys sharing his experiences with automated testing, mocking frameworks, and static analysis tools, or guiding other developers through the darker crevices of the .NET framework, while also learning from his peers’ experiences -- helping everyone "level up" as a team. He has a pragmatic approach to and a heavy interest in continuous improvement of people, process, and product. He's currently applying that experience as a Senior Software Developer at Stack Overflow on the Internal Development team.